A woman torn apart by secrets. A man held prisoner by the truth. Serenity McClaren had it all before her life crumbled around her like the sand castles on her beloved beach, causing her to flee Croisette Shores and the only home she’d ever known. Nearly five years later and living in Atlanta, she receives a mysterious, unsigned note: Come home, Serenity. Things aren’t as they seem. Time to find your answers. Returning to South Carolina, she prepares to face her demons and the ailing father she left behind, hoping to make peace with both. 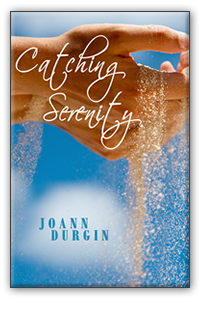 Catching Serenity, a poignant story of faith, hope and love, and discovering the everyday miracles from an all-powerful God. To read more and purchase Catching Serenity, click here. 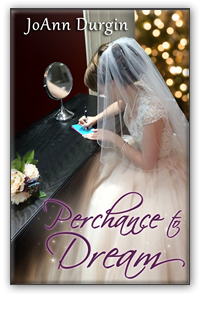 To read more and purchase Perchance to Dream, click here. Valentine’s Day isn’t just for February 14th anymore! Love should be celebrated every day of the year. At least that’s Thornton Fielding’s philosophy. 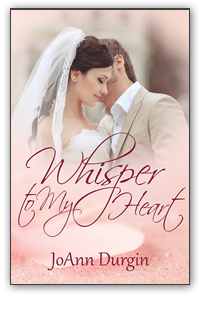 In spite of a few false starts in the arena of love, he holds out hope he’ll eventually find the woman of his dreams. The problem? He loves his job, and there’s no end in sight to his travels. But when Thornton returns to his tiny hometown of Cherish, Minnesota, he meets a beautiful and intriguing woman he believes might be God’s answer to ending his bachelor status—permanently. Vara Alexandris is soured on love and scoffs at the notion of soulmates. But soon after meeting the handsome and unconventional Thornton, she suspects he might be exactly the ally she needs to help jump-start her stroke patient’s recovery. If only Vara can keep Thornton grounded in Cherish long enough. This man who spouts romanticized and idealistic ideas about love seems all too eager to resume his world travels. 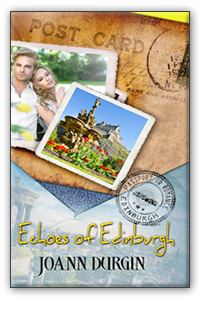 Could it be Thornton prefers globetrotting in order to avoid a romantic relationship? Join Vara and Thornton in USA Today Bestselling Author JoAnn Durgin’s latest release full of her trademark humor, romance, and lively, small town characters in a story of God’s fierce passion (and guidance) for His children…if we only pay attention. 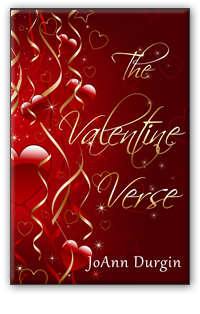 The Valentine Verse is for any season of the year and sure to warm your soul!